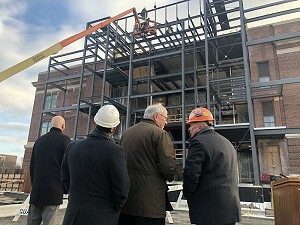 Quasius Construction’s progress continues on Sheboygan’s City Hall with structural steel set into place, marking completion of another major milestone in the construction schedule. 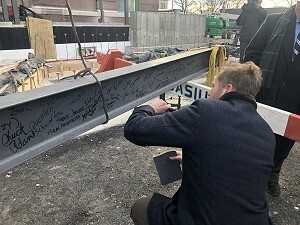 The last steel beam installation was commemorated with a topping-out ceremony in early December 2018. 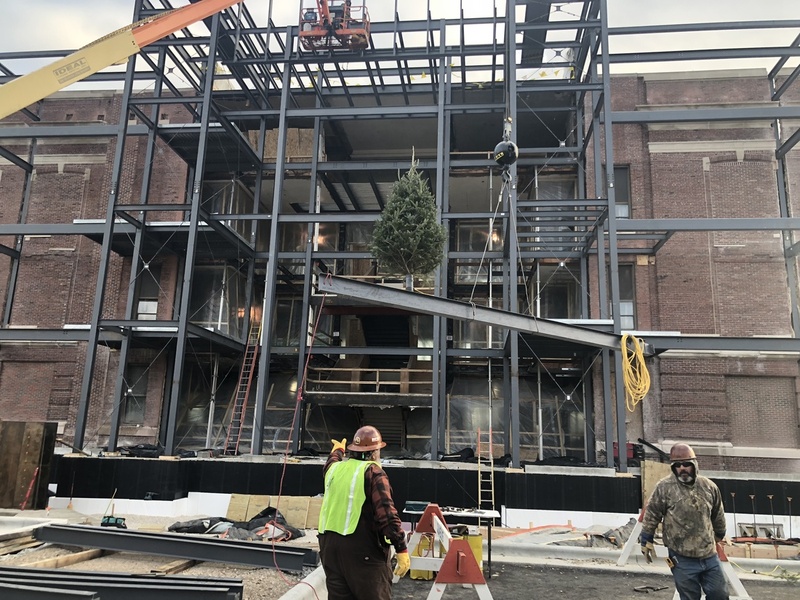 The renovation project, which is on schedule to be completed in Spring of 2019, will continue with the installation of the atrium glass windows and interior dry wall. New flooring and cabinetry installation is expected to begin in February. Quasius Construction has continued to execute the renovation of the century-old building and glass atrium addition with precision, careful not to compromise the integrity of the clay tile or iconic elements. A hanger support system is installed on each floor, including basement, to support lighting and ceiling fixtures. Additionally, the marble staircase has been protected with numerous layers of foam, plastic, and plywood to safeguard wood and stone from the elements during the north wall construction. 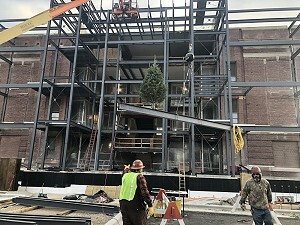 Upon completion, Sheboygan City Hall will feature a modern office environment and impressive three-story glass atrium allowing an abundance of light to filter onto each floor. Outside improvements include masonry restoration and a heated sidewalk to prevent ice buildup during winter months.